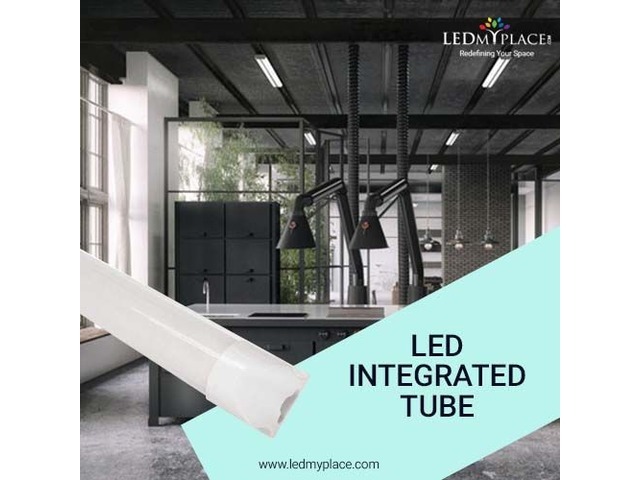 Today LED lighting has gained wider popularity and is preferred across all the places including commercial and residential, and among them are the LED integrated tubes that are especially designed to illuminate the indoor areas in an enriched way. Among many integrated lights, one is a 60w LED integrated tube that can be used to illuminate larger places such as halls, corridors, offices etc. * Once fixed, these 60w LED Integrated Tube can work for at least 50,000 hours with lumen output of 7200 and color temperature of 5000K. * This 60w LED Integrated Tubes can work without ballast as well which further saves lot of installing and fixing time, simply remove the fluorescent tube with the integrated tube by wiring then directly to the main line source. * You will get 5 years of warranty of buying these LED integrated tubes that are also made up of 100% recyclable material. 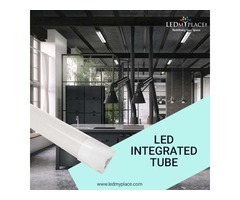 * Also the beam angle of these integrated tubes is ideal to illuminate the low ceiling rooms as well; since they are DLC certificate you can also enjoy rebates and incentives from some of the electric companies as well. Still using those outdated technology lights then replace then with the smart and innovative LED lighting technology and enjoy things in a more clear and visible way along with enhancing the overall look of the place.